It’s November soon and in a month’s time we will be celebrating Christmas. October was another fun month for the kids. #1. 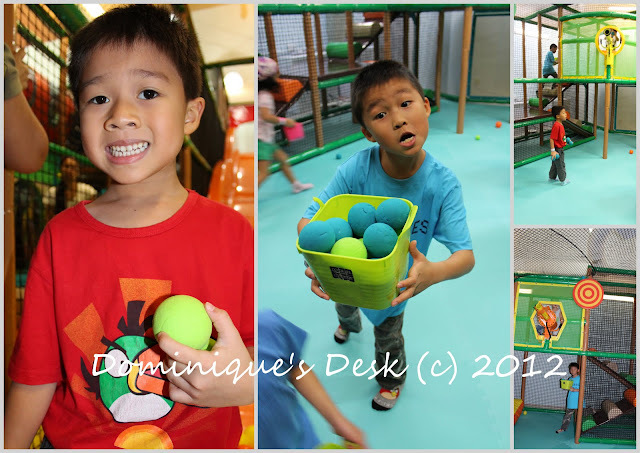 They visited Pollywogs a 2nd time and had Balls of Fun playing at that indoor playground with their friends. The kids love playing in indoor playgrounds but we don’t bring them that often as it can be very costly play at more then $50 each session for 2hrs for the three of them. #2. 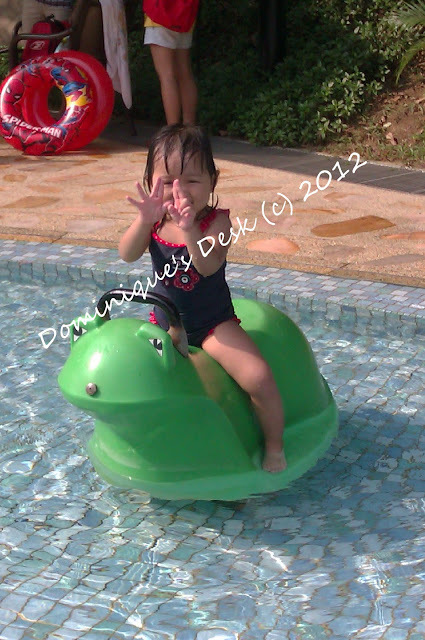 We started bringing Tiger girl to the pool as she loves playing with water. Every weekend she would request that we bring her swimming together with her brothers. #3. I saw some lovely yellow blooms while at the Changi airport. 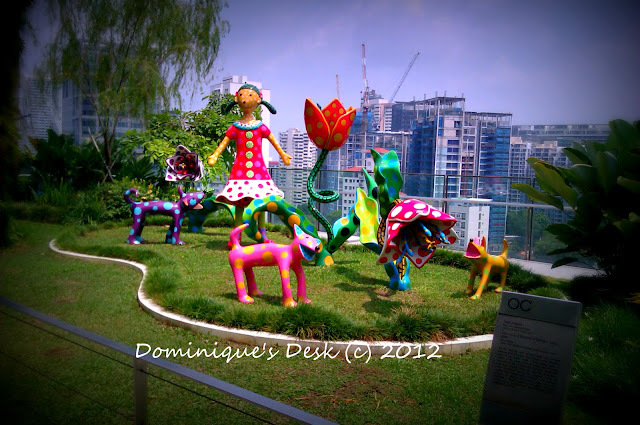 I didn’t know that there was a Sunflower garden there as I seldom spent time mingling around in the departure areas before our flight out of Singapore. #4 Besides yellow sunflowers I also saw some beautiful pink and purple orchids at the airport. I love the fact that I’m living in a garden city with lots of flora around. #5 Greenery is also abundant here as we live in a tropical country. It’s hot and humid all year round in Singapore. #6- Monkey boy is finally entering the kitchen and learning how to cook. The first meal he cooked was soba noodles with boiled carrot. I will be teaching him more different dishes which he can cook in time to come. #7 I wished for a secret garden. A place where I can indulge in my fantasy. My own special corner where I can be free of worries and indulge in my passions. Do you wish for this too? #8- Tiger girl is adapting very well in school. 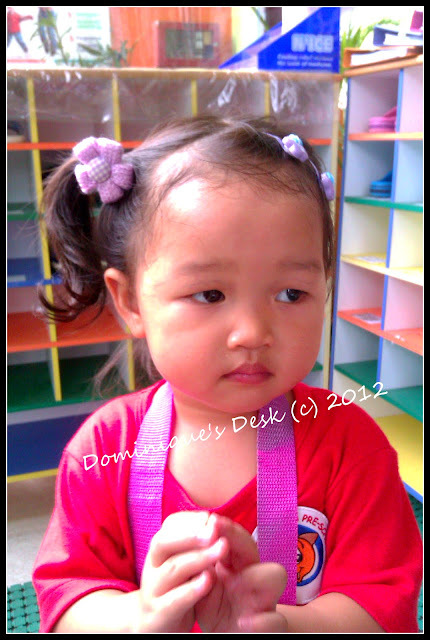 She looks forward to going to school and loves singing the songs that her teacher has taught her. She is now moving onto four syllable words and expanding her vocabulary tremendously. #9- I read a very interesting self help book over one weekend. Design your own Destiny . It really got me thinking about how I would like my life to be from this point in time and re-look my goals and plan towards achieving it. #10 Strawberries are in season now and the kids love when I buy it for them to eat. I’m glad that 2 out of 3 of the kids love eating fruits. Now if only I can get Monkey boy to take more fruits. What are your highlights of October? Oh my! Your angels really look cute! Especially your little girl! I love your nature photos, especially your butterfly! It’s gorgeous..
Adorable! I love your photos of your little kids. I did a double take when I read “It’s November.” Wait–not yet! We still have two more days of October! 🙂 I’m not ready. You October was wonderful! I love the pictures you shared. I need to work on my highlights for the month! You had wonderful month! JDaniel will eat all the extra strawberries you have at your house. Amazing pictures here! Just beautiful. Your kids are adorable too! great post! 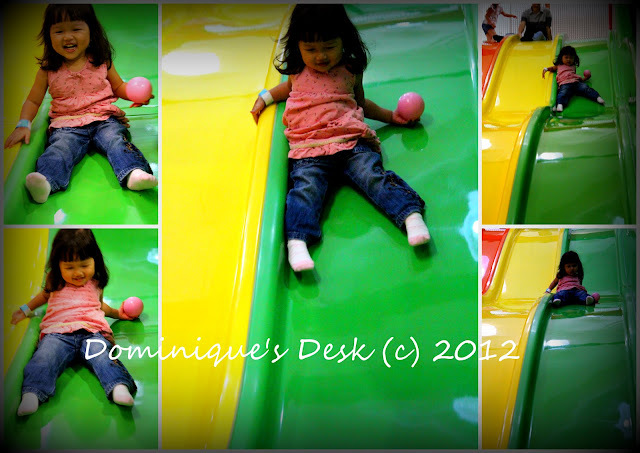 I could almost hear Tiger Girl’s delightful squeal at the slides. She must really love that part. Wow your little boy can cook now…makes me ashamed as I can’t still cook lol! Your kids are really cute. You have a great October. More lucks this November. with those charming kids around…you really have an amazing October! The flowers are really lovely. I can see that they really enjoy their stay at Polywogs especially your little girl at the slide. Tiger girl has grown so much since the last time we saw her, the boys are having so much fun. Love your pictures, very pretty! Ok I don’t know what happened with spell check but I meant teaching your boy to cook. Dang that autocorrect. I’m sure you will enjoy teaching your boy how to cook too when he is older.